Tamil films with the lead hero playing an Army man have always eulogized the greatness and indispensableness of the Army personnel and their sacrifices for the country’s safety. Director GNR Kumaravelan’s ‘Wagah’ starring Vikram Prabhu and Ranya Rao in the lead roles is not exception to this but it has much more to offer as a film dealing with Indian Army and cross-border issues with the neighbourhood Pakistan Pakistan. That makes this rare and an important addition to this list, despite glitches. Vasu (Vikram Prabhu) is a Border Security Force staff posted at the India-Pakistan border. He hails from a small town in Tamil Nadu and joins the army only to escape from his family business forced upon him by his father. He feels isolated as his job is to keep standing alone throughout the day manning the border. When life gets extremely unbearable, he meets Kaarun (Ranya Rao) a girl living in a nearby village and instantly falls for her. 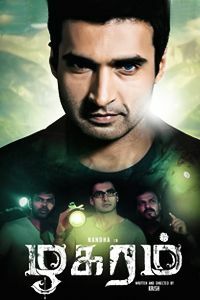 A sudden escalation of a cross-border conflict and its aftereffects force Vasu to enter Pakistan and get caught in the torture camp, secretly run by the Pakistani army to render demoniac torture and subsequently kill the Indian security staff crossing the border, accidentally or intentionally. The rest deals with what happens to Vasu and his love. Sincere to its plot, ‘Wagah’ is extensively shot in Indo-Pakistan border localities and Kashmir. It is probably the first Tamil film that speaks about the emotions of army men, their craving for affection and love and loudly says that it’s not just right to expect them to be epitomes of sacrifice. It brings about a welcome change in the narrative of Tamil films dealing with Indian security forces and India-Pakistan relations. It is one of those rare films to (probably the first in Tamil) to depict Pakistan as a country with normal human beings like Indians and enmity is just between politicians and jingoists and not people. The film also draws a thin line between patriotism and jingoism. All these have been done without compromising on portraying the dignity and greatness of Indian security establishment. The first half moves around on a neither taxing nor fast pace. More time has been allocated to the hero’s attempts to woo his lady love. While the necessity for this in the script is understandable, they would have given a better experience with more interesting ideas behind these scenes. The twist in the interval sets the tone for an eventful and interesting second half. The second half does retain the momentum till some point before losing it. There are some good scenes in this half like the one in which the hero interacts with a Pakistani family but they are far and few. Beyond a point things get reduced to a regular tale of a larger than life hero. The long drawn out climax fight sequence that involves a lot of gun shots and bomb hurls completely lacks credibility and ends up testing the patience. The dependence on cinematic liberties is too much to palate in these scenes. One could not help feeling that the crucial portion of the film is disappointing and a better writing in this part would have created the desired impact. 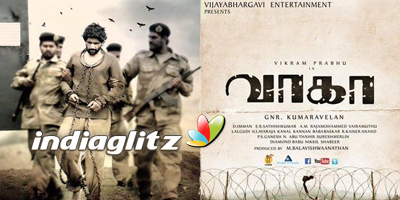 Vikram Prabhu fits into the role of a BSF officer and is impeccable in action and romance scenes. But he should concentrate a little more on emotional scenes. Debutant Ranya Rao is good, looks wise but leaves much to be desired on the performance front. Ajay Ratnam and Karunas make an impact with their supporting characters with the latter providing some comic relief. Sathyan is adequate in his cameo role. D.Imman’s rerecording is one of the biggest plusses of the film. The songs are listenable but lack freshness. S.R.Sathishkumar’s cinematography is simply fantastic in capturing the scenic beauty and the volatile situation of Kashmir. 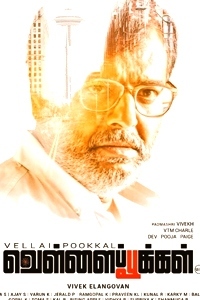 Editor Raja Mohammed could have applied a few more cuts in second half to make the film crisper. Verdict: ‘Wagah’ impresses as a cross-border conflict flick with more emphasis on human emotions and humanitarian values. Over dependence on cinematic liberties spoils the impact it ought to have created.